Tile roofs will last a lifetime if done properly, which is why our team of roofers have become expert with them. Not only can we install clay or concrete tile roofs, but we can also repair them if yours is cracked or missing tiles, and we can also replace out your roof for a long-lasting tile alternative! Call us now to get your free estimate! The two main varieties of tile roofs are the concrete tiles and clay tiles. 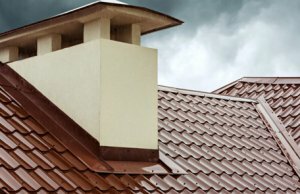 They both come in a variety of colors, and can be done to mimic nearly all roof types. If you prefer the long-lasting and safe nature of tile roofs, but have always wanted the look of a slate roof, or a wood shake roof, no problem! Our roofing contractors are some of the best in the business, and we’ll get to work building your dream roof in no time. 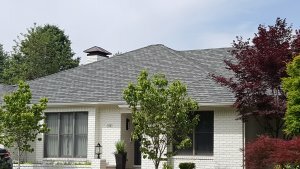 Call us now to schedule an appointment, we’ll go over what you’re looking to get out of your roof, what styles and colors you like, and what your building is prepped to handle. Our team will get to work and handle the rest! We aim to be the roofing company to handle your property for life, and we’ll care for its roof as if it were our own! One thing to know about tile roofs is that your building has to be properly set up to handle the additional weight that they will bring to your roof. While clay tiles can weigh as much as 650 pounds per square, concrete tiles can weigh up to more than 1000 pounds per square, which can put a lot of strain on your home. One of our roofing contractors will inspect your home to make sure it is equipped to withstand the additional weight. If your home can’t take it, we can work with you to build the look you’re going for out of another material, perhaps metal. It offers some of the same benefits of tile, such as longevity and durability, without having the same weight or building requirements. Whether you prefer the stylish look of the beautiful Mediterranean tile roof with its smooth waves and terra-cotta coloring, or the chic look of of faux-slate clay tiles, our team of roofers will give you the gorgeous home tile roof you’ve always wanted! Though your concrete tile roof is impervious to most dangers Mother Nature has to offer, it can be damaged by enough force. If you have cracked tiles, you are missing tiles, or have another problem with your roof, call us to get it fixed effectively! Since clay tiles frequently last up to 100 years or more, they are a common choice for both residential properties as well as industrial roofs. If you’re looking at installing a new clay tile roof, let us give you a free estimate; we look forward to the chance to earn your business with our superior customer service and affordable rates! Interested in a tile roof? We’ll help you make the right decision! We repair, install and replace tile roofs in Bentonville, Springdale, Fayetteville and nearby cities. As a local, veteran-owned roofing company that’s got over 40 years of experience, we really take our clients to heart and strive to provide the best service you’ll find in the state, at great rates! Need A Free Roof Inspection? Need A Roof Replacement? Roof Damage from Hail or Storms? Quick Fix For A Leaky Roof? We Got You!! 5 easy questions on the next page to get a free inspection in 24 hours or less!